Put 2 tbs of oil in a frying pan and put the punch puran seeds and let them splutter. 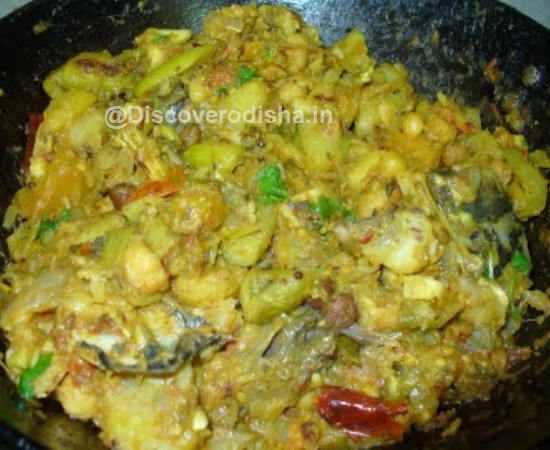 Add green chillies and ginger and fry them until it turns yellow Add all spices (all powder, cinnamon, etc), coconut and fry them for 1 minute Add all vegetables and soaked chana daal, salt, 1/2 cup water & cover it & then cook it properly so that all vegetables will get mixed. Add coriander leaves and serve them hot.